Veterans treatment courts provide the counseling, care, and support veterans need when they find themselves in the criminal justice system. 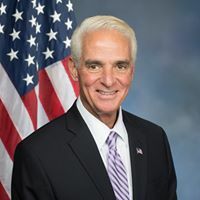 WASHINGTON, DC – U.S. Rep. Charlie Crist, D-St. Petersburg, has been joined by U.S. Rep. Elise Stefanik, R-NY, in reintroducing the Veteran Treatment Court Coordination Act. This bipartisan bill would enhance state and local veteran treatment court programs that support the unique needs of veterans who find themselves in the criminal justice system. After serving our country, too many veterans are experiencing mental health issues, substance abuse, and homelessness, which can often land them in the criminal justice system, Crist said. Veteran treatment courts provide the counseling, care, and support veterans need to help address these challenges and more successfully transition to civilian life. The Veteran Treatment Court Coordination Act establishes a program within the Department of Justice, in coordination with the Veterans Administration, to provide grants, training, and technical assistance to help state, local, and tribal governments develop and maintain veteran treatment courts. Currently, these programs are supported by dedicated individuals in law enforcement, the judicial system, the legal community, VA officials, Veterans Service Organizations, and other community organizations. The bill would provide federal resources for the establishment of new treatment courts. The first veterans treatment court was established in Buffalo, NY, in 2008. Since that time, additional courts have been successfully adopted in state and local courts throughout Florida and the nation. In 2013, Florida’s Sixth Judicial Circuit Court created a veterans unit to address the unique needs of those in Pinellas and Pasco counties, home to more than 130,000 veterans. The legislation was introduced with the support of more than 80 members of Congress from both parties. It also has received the support of American Legion, AMVETS, Disabled American Veterans, National Military & Veterans Alliance, American Logistics Association, American Military Retirees Association, American Military Society, American and Navy Union of the USA, American Retiree Association, Association of the US Navy, Military Order of Foreign Wars, Military Order of the Purple Heart, Military Order of World Wars, Tragedy Assistance Program for Survivors, The Flag and General Officers Network, The Independence Fund, The Retired Enlisted Association, Society of Military Widows, Vietnam Veterans of America, and Catholic War Veterans. “The National Military and Veterans Alliance supported the Veteran Treatment Court Coordination Act during the 115th Congress and we are pleased to see the bill’s re-introduction in the 116th. These courts provide a valuable and needed resource for veterans who are charged with a non-violent crime attributable to their service and allows them to get the help they need while avoiding jail time. Establishing a point of contact at the Department of Justice to work with the VA in the implementation of a program that will provide grants, training, and technical assistance to state, local, and tribal governments will enhance the VTC formation process and encourage the growth of VTC’s in areas where they do not exist. NMVA looks forward to working to pass this bill,” said Ted Painter, co-director of NMVA and executive director of the Armed Forces Retirees Association.